Yesterday I attended a press preview of LEGO’s Droid Tales season finale held at the Manhattan LEGO store and also got to see all the new Star Wars LEGO sets plus some wonderful large LEGO builds by Master builders. Great fun. Here’s my report. 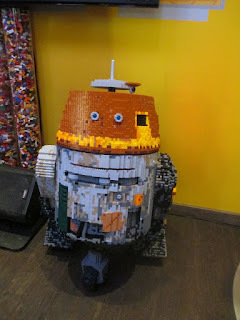 I have not been watching the Star Wars Droid Tales but I enjoyed the series finale which airs on Monday, November 2nd. Entitled “Gambit on Genosisseries” the episode had humor that the adults can enjoy too. It wasn’t just for the kids. 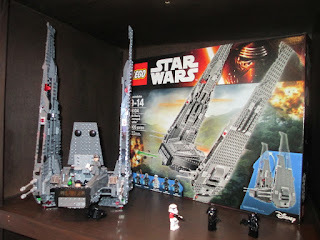 Comments like “You’ll never make me go to the dark side” and “Now I have to go live with my parents” and my favorite “May the Funk be with you” will make the adults smile too. I always enjoy a children’s show that isn’t torture for me to sit through and Droid Tales fits that bill. 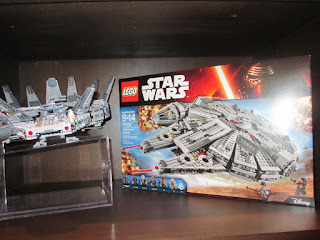 This Millennium Falcon is new and has a bunch of special features not found in previous sets. 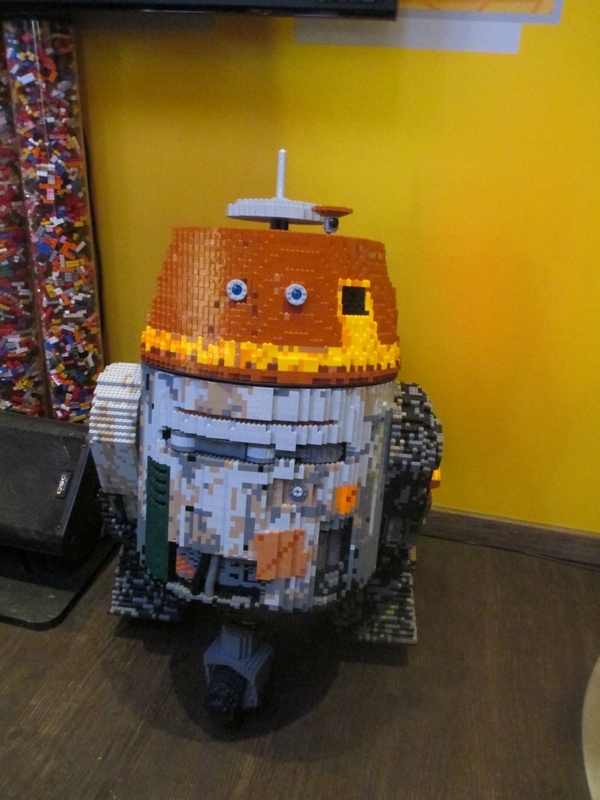 It is the only set which has a BB-8 Astromech Droid minifigure - featured in the Force Awakens movie. Expensive - but will be a very hot item this holiday season. 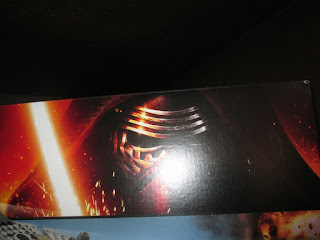 If you are buying a Star Wars set for a holiday gift you will want to know if it is based on the new movie. Here is the secret key. Look for this red and gold symbol at the top of the package – this is The Force Awakens series. Are you ready for Halloween? Finally, I am. Our neighborhood is perfect for Halloween trick or treating. There are sidewalks and short walkways to the houses. People drive to our neighborhood for their kids to Trick or Treat. I always have candy and non-candy choices and the non-candy choices are very popular. Having non-candy choices is important. 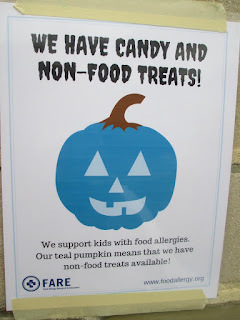 Last year the Food Allergy Research and Education Association (FARE) initiated the TEAL Pumpkin program and I participated in its inaugural year. 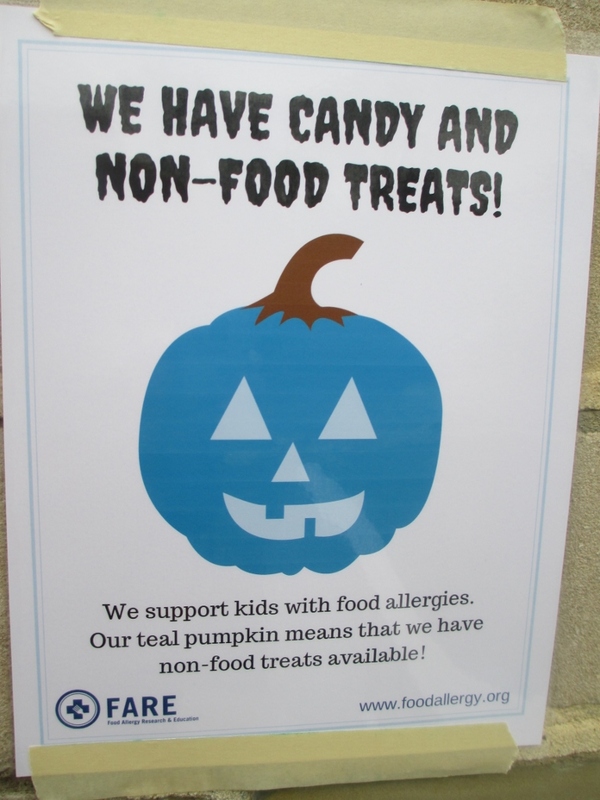 You can download a sign here so trick or treaters and their parents/guardians can see that you offer non-candy treats. Last year I had a parent notice the sign and thank me. This year this program is catching traction so I expect more people to look for a sign. You can learn more about FARE and the program here. Need ideas for non-candy treats? I have some tried and true favorites. Here are my non-candy choices. Included are items for different ages. Play-doh (you can get these 15 small can packages making each treat reasonably priced) is for the youngest children but I find that even the 7-9 year olds like the play-doh. 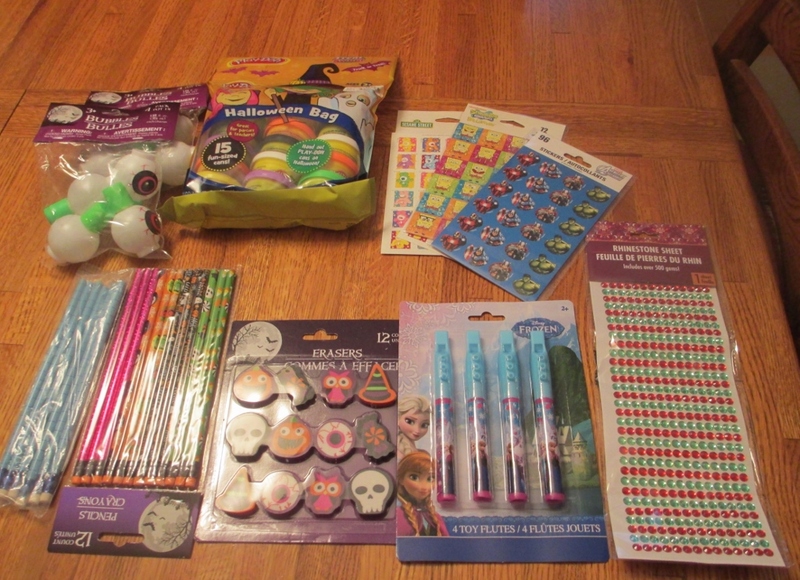 Pencils and erasers with Halloween themes, stickers for various ages, and "Frozen" whistles are staples. The "eyeball" bubbles I bet will be popular. See what looks like green and red dots - they are actually little "jewel" stickers. I will cut them in a green+red strip for each treat. I also set my treats in baskets appropriate for younger or older kids and only offer the approriate one. It may sound like I am a control freak about Halloween, and perhaps I am, but I do enjoy it. Yes, I have Hershey bars too and a favorite with the kids - lollipops. I have blow pops, tootsie roll pops and Jolly Rancher pops. These will fly out of here too. 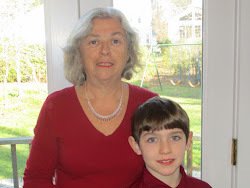 Then our grandson will be with us for a sleepover. He will change from his Teenage Mutant Ninja Turtle costume to his TMNT pajamas and I will read The Berenstain Bears Ghost of the Forest or In the Dark book. I'd like to read Apples and Pumpkins but I'm pretty sure that won't be one of the choices. Enjoy Halloween, we plan to here! 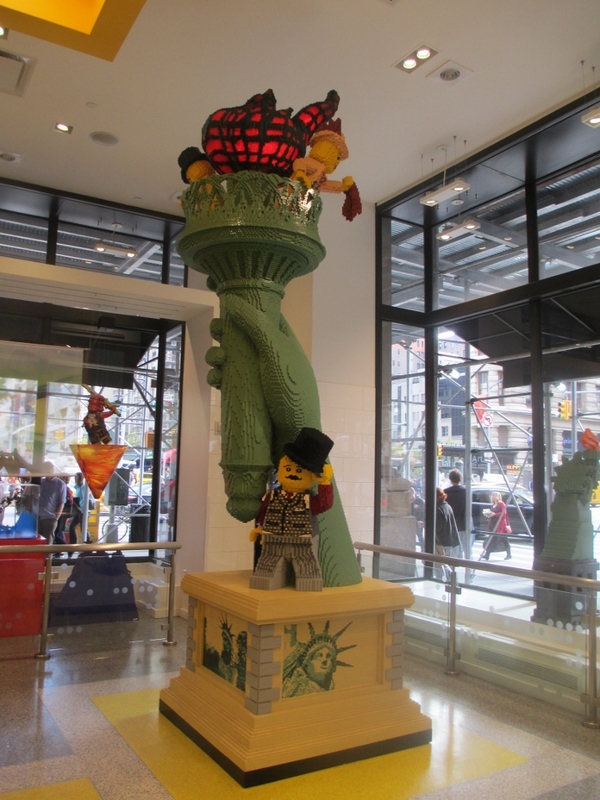 Every Fall I attend the Time to Play (TTPM) Showcase in New York and get to see what is new and hot for the holiday season. 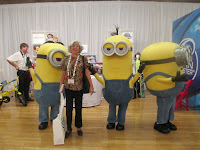 For this post I have selected items to highlight that I think will have a particular appeal for grandparents. Next month I’ll publish my annual Holiday Gift Guide and more will be included. It isn’t your typical Top 10 list. I have tried to cover a range of ages and types. Some are what is really hot and may sell out so if a grandchild is asking for it, don’t delay. Some will bring back memories of our own or our children’s childhood. There are the grandparent splurge items and the yes I can afford that items. 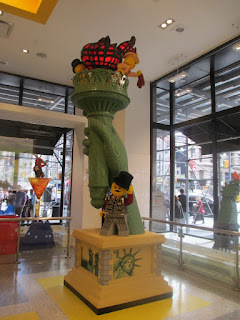 All of the pictures were taken by me so they aren’t perfect and may have other items in the background. I keep working on taking better pictures and my husband helps by cropping. I still have a way to go but at least you know they are accurate and not souped up in any way. There is a new Peanuts movie premiering on November 6th and there will be lots of Peanuts themed merchandise associated with the movie. Peanuts Movie “stuff” will be hot this season. 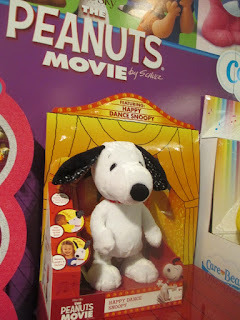 Here is a premier Peanuts Movie item – the Happy Dance Snoopy plush from Just Play. If you squeeze his paw he “boogies to the “Linus and Lucy” theme song. Give him a kisss and he will return the kiss, laugh and howl. The demo for this at the show drew a crowd. 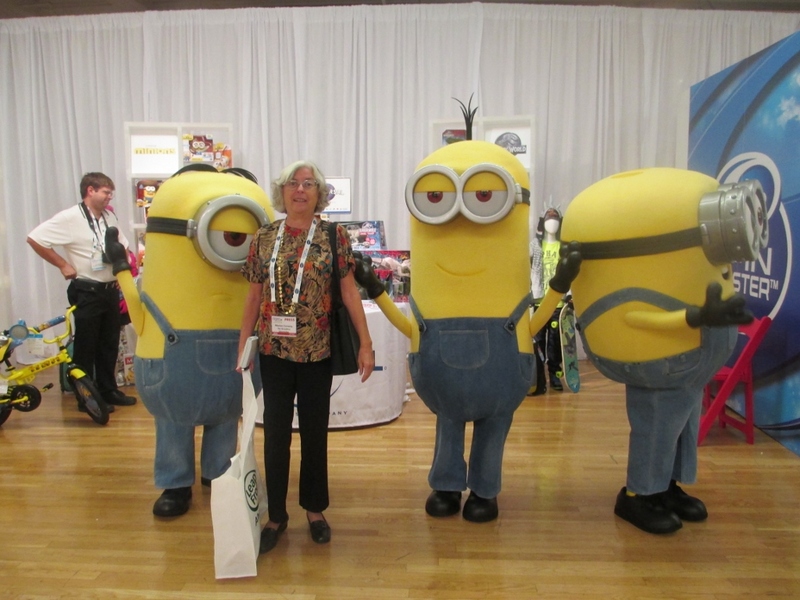 Adults will be as engaged as the kids. This is a TTPM Most Wanted List winner. 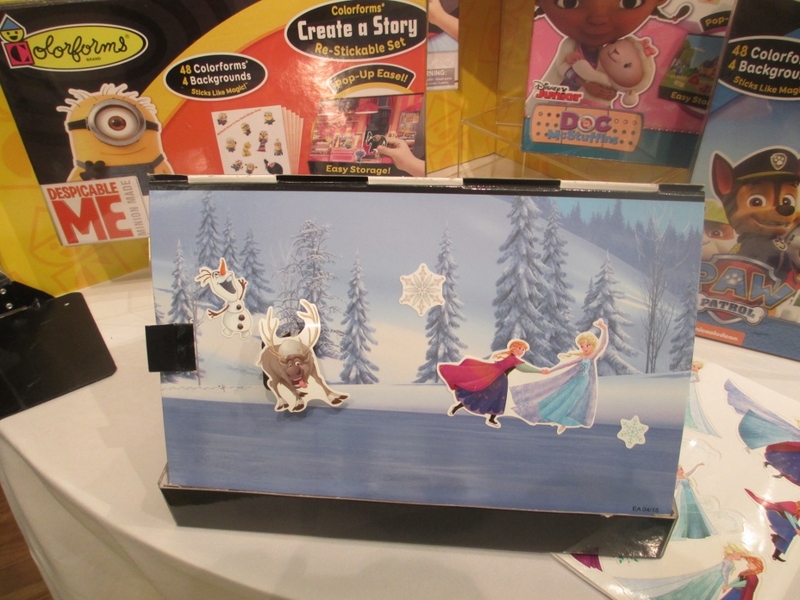 I first wrote about this in February in my favorites at Toy Fair NY blog post. It wasn’t on the market yet, but it is now and it is selling very well. This also was on the TTPM Most Wanted list. The Girl Scouts Cookie Oven has a new modern, eye catching look and new technology to half the time needed to bake cookies in an oven for children. 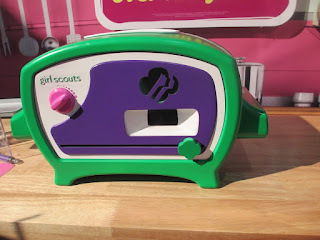 You can get cookie mix in all of your favorite Girl Scout kinds - thin mints, trefoil, etc. Best of all, a share of the price will go the Girl Scouts of USA. Little girls still love Barbie and have collections of them. 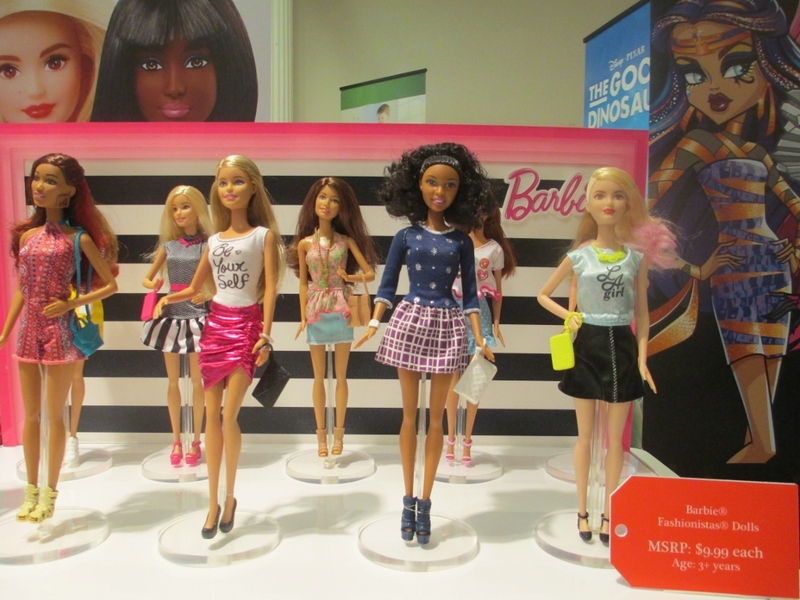 This fashionistas line is very popular and you probably can’t go wrong with one of these as a gift if your granddaughter likes Barbie. Now for some nostalgia favorites…. This was the first time I saw Lionel trains at a TTPM event and it brought back a flood of wonderful memories for me. My uncle worked in the Lionel train factory in Newark, NJ until it closed and every year we got a new train to add to our set at Christmas. I am sorry that I don’t have good pictures of the sets on the tracks - they looked great on display. This year Lionel celebrates its 115th year in business. This set features a steam locomotive with working headlight and train sounds (whistle and bell), coal tender, passenger coach with two opening doors, observation car with “disappearing hobo” feature and opening door; and 3 Polar Express figures (conductor, boy and hobo). The tracks and remote controller are also included. Uses c batteries. Will be something that the family looks forward to being under the Christmas tree every year. This year, Lionel is introducing an all-new toy line for preschoolers called Imagineering™. 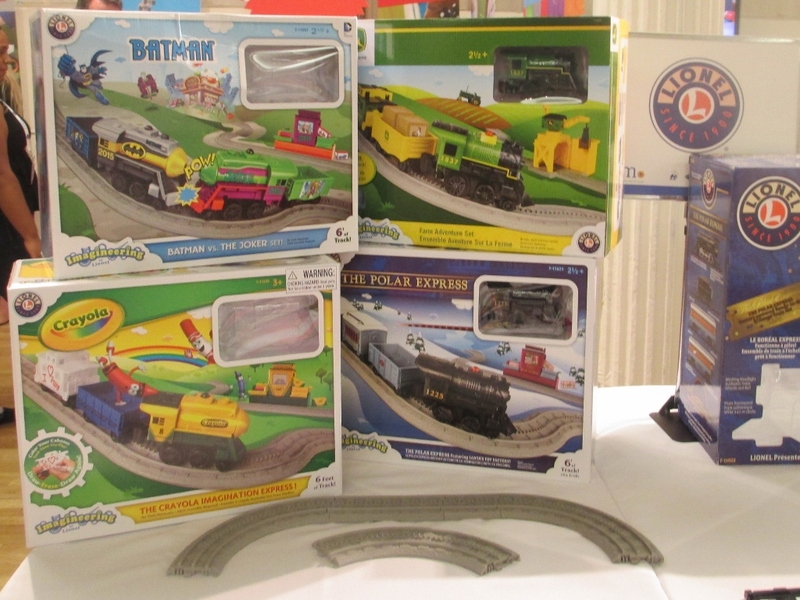 There are four differently-themed sets - Crayola, Batman, John Deere and The Polar Express. Each set includes a train that’s not powered and has an engine, gondola, caboose, train station set and 6 feet of quick connect track. This is an excellent way to introduce the fun of playing with trains to young children. When I was a kid – and perhaps you too – Slinky was all the rage and everyone had one. 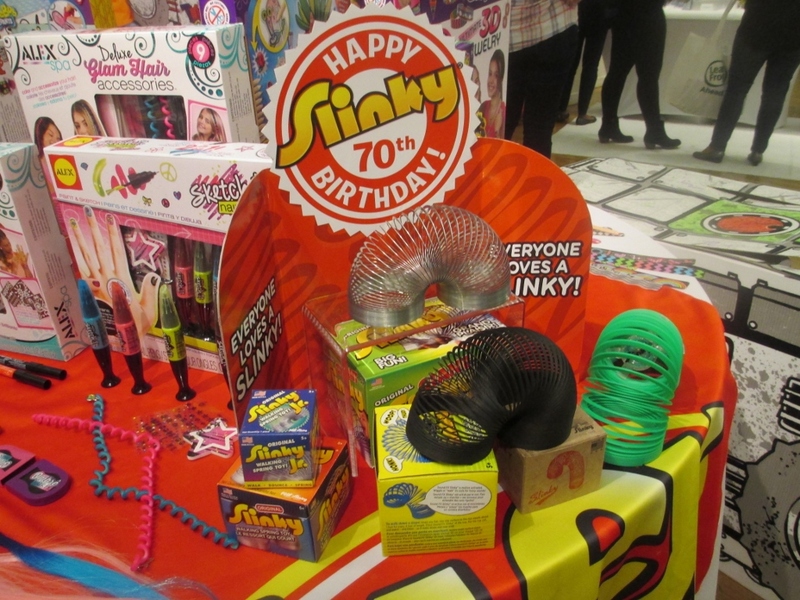 This year Slinky celebrates its 70th birthday. Today Slinkys come in different sizes, materials, colors and “Collector’s Versions. They all do the famous Slinky walk down the stairs. 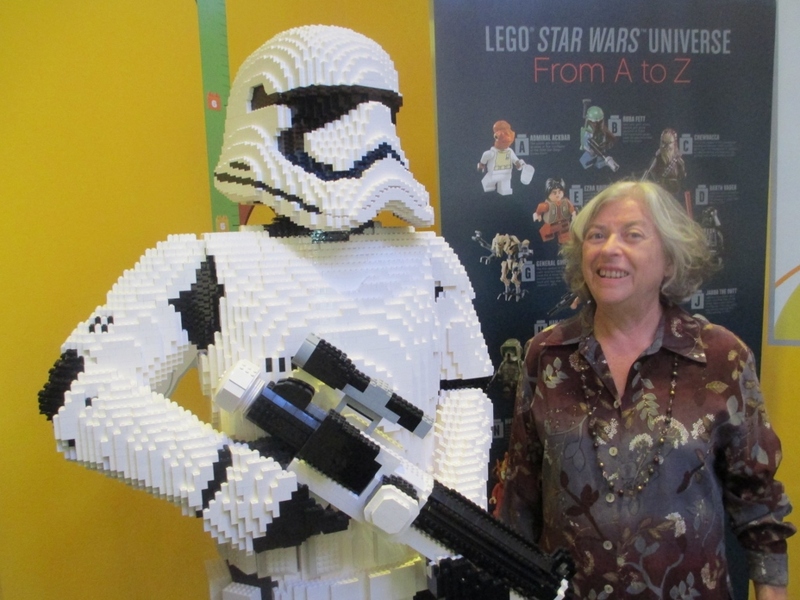 Priced right for a small gift, these make for great intergenerational fun. 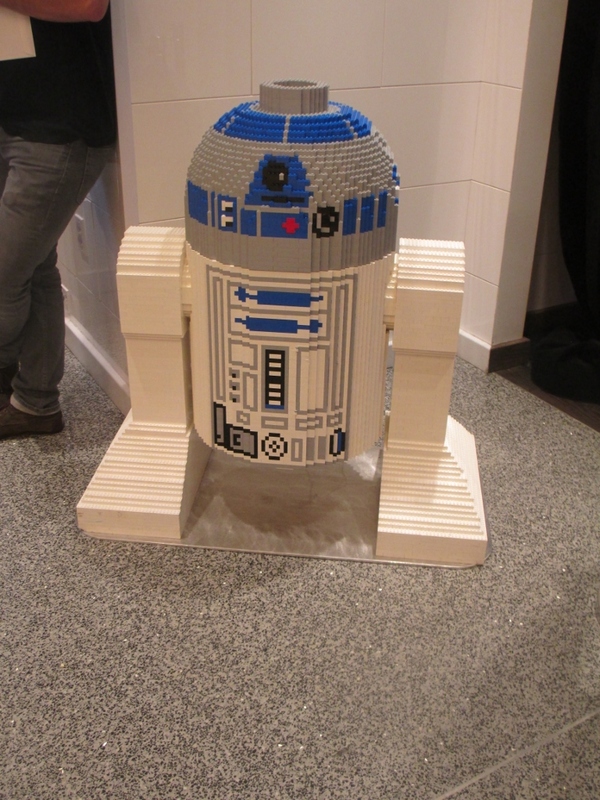 And… no batteries!!! These aren’t your squares/rectangles/triangle sets anymore, but they have those too just in case grandpa wants a set to play with. Priced right, there are various sized themed sets with all the popular characters featured. My favorite was the $9.99 Create a Story set which includes an easel, 4 background sheets and 48 colorforms. A wide age range of kids will enjoy these – especially if one of their favorite themes is featured. The Take Along and On the Go small sets are versatile and make excellent small presents. I know many of you grandparents have these often for visits. I see these as excellent tooth fairy gifts and long ride in the car items. I’ll be featuring a lot more items in my Holiday Gift Guide coming soon. All from a grandparent perspective. Stay tuned. 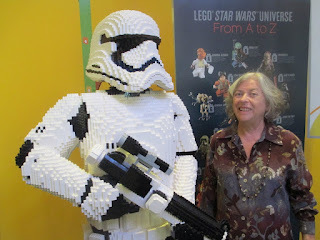 If you’d like to see what “The Toy Guy” from TTPM old ABC News about his favorites click here. If you watch it to almost at the end you can see me in the background having this picture taken as they walk by during the interview.